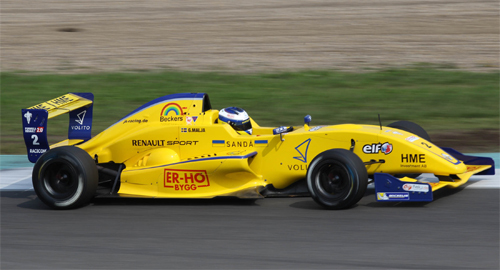 Free Practice: In the free practice sessions all Kaufmann Drivers were very fast on both, used and new tyres. 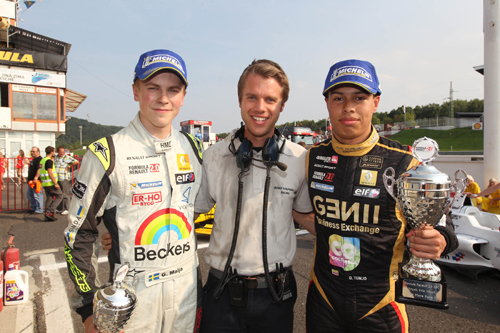 In the end Tunjo was fastest man of the day - P 1. 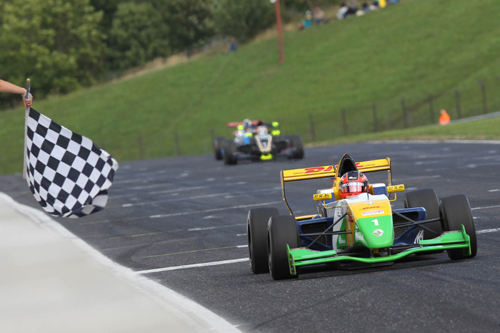 Schothorst was P 4, Malja P 7, Delétraz P 13 and Olsen P 14. Qualifying: In the Qualfying which was split into two groups, it was Olsen and Schothorst first out on track. Schothorst qualified on P 3 and P 2, Olsen both times on P 4. 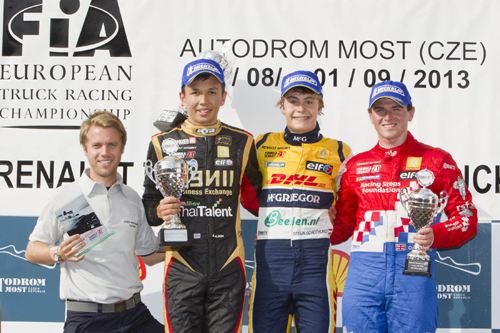 In group 2 it was Delétraz on P 6 and P 7, Malja on strong P 2 and P 4 and Tunjo dominating the session with two times P 1. Race 1: At the start Louis Delétraz and Dennis Olsen both lost a lot of place due to a crash in turn 1. Delétraz finished on P 24 and Olsen recovered upto P 10. Schothorst drove a good race on P 5. Malja and Tunjo were fighting for the lead and showed a strong pace. In the end Malja on P 3 and Tunjo on P 2. Both drivers on the podium! Race 2: In the second race Delétraz lost again one position at the start and dropped back to P 16 where he also finished the race. The other Kaufmann Drivers were running on P 4 - P 5 - P 6 - P 7. As overtaking was not possible they finished the race on that positions. Race 3: Delétraz made a good race and moved up positions upto P 14 in the end. 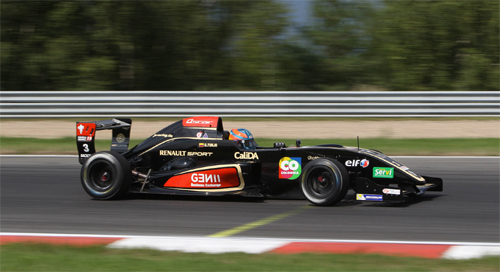 Olsen started 10 and finished 10, as he was having a small handicap with a damaged front wing. Malja retired unfortunately at the start due to a technical failure. Tunjo moved up postion and missed the podium by finishing P 4. In the front Schothorst took the lead at the start and pulled away from the rest of the field the first laps. After that he controlled the race and took a solid race win again!